What is it about the mind that fundamentally attempts to recognize patterns, create context, and answer the question of how something can be used? 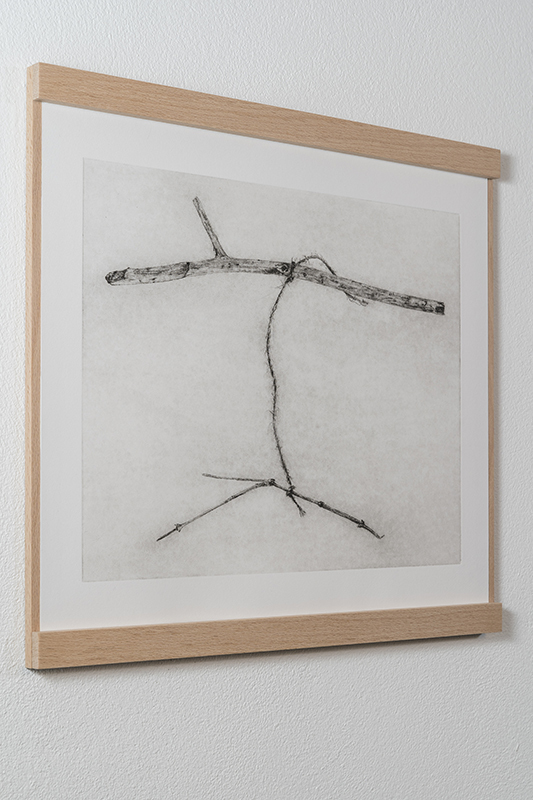 The enigmatic nature of this fine-lined drypoint makes the viewer confront his or her own sense of perception. 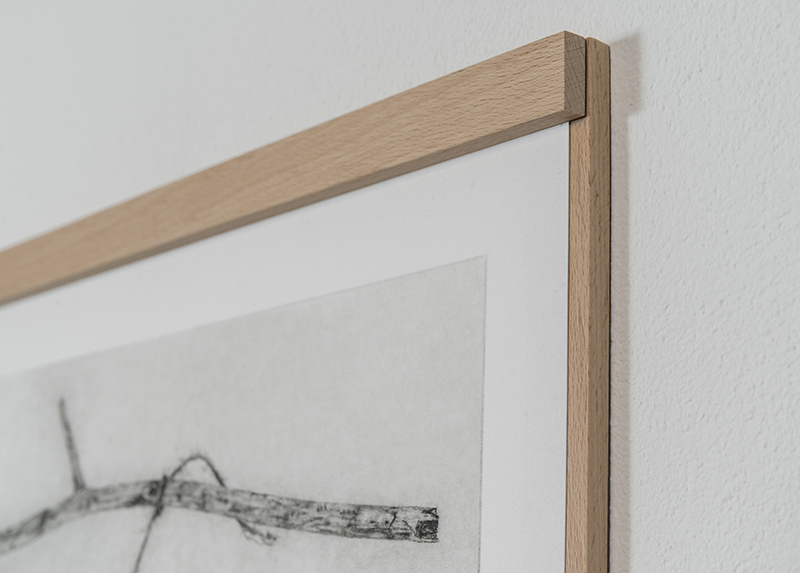 The drypoint, which is printed on laid paper, depicts two sticks connected by a thin sisal rope. Why are the sticks connected? The open narrative triggers the mind to find a solution to the question posed by the image, to discover a narrative, to draw inferences. Through this process, there arises a parallel to the developmental steps of consciousness that are initiated in the endeavor to find meaning in everything and anything. 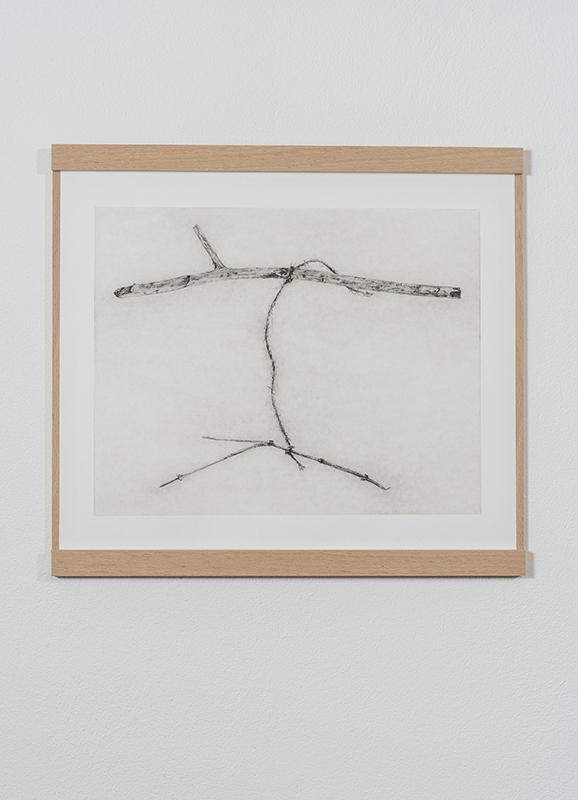 The element of the stick emerges in the work of Astrid Ehlers time and again in various constellations, for a simple twig is not only a piece of nature, but it is also one of the first archaic tools. 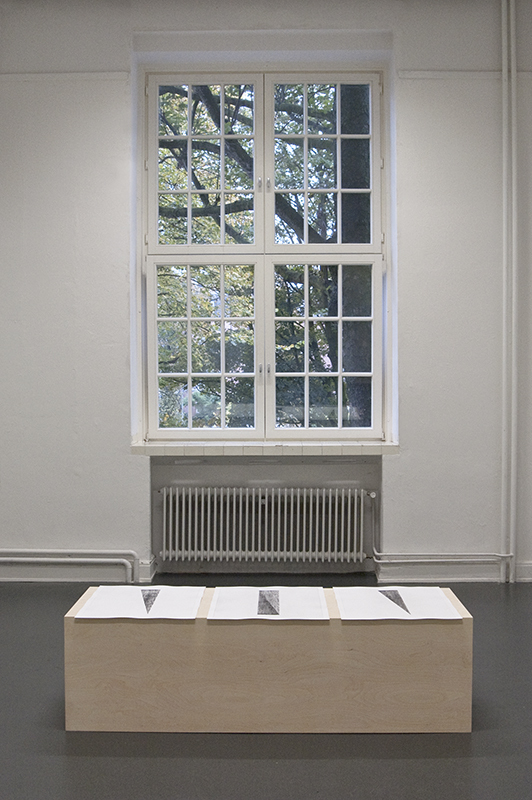 The version that is depicted here was derived from an experiment about the sequential tool usage of crows. By logically chaining pieces of the construct together, these animals were capable of gathering food from a hollow tree with this construct. The twig is thus transformed from an object to an instrument, is has been assigned a purpose that transcends its mere existence. 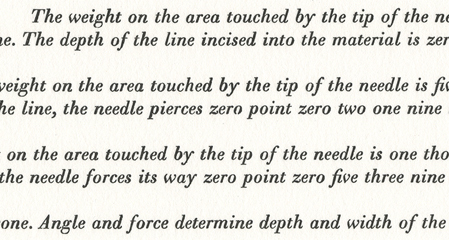 The marvel of evolution is put into poetic imagery, which is characterized by the reduced form. However, in this case, reduction is relative. Although there is little to see on this sheet, the little that is there in fact reveals a multitude. 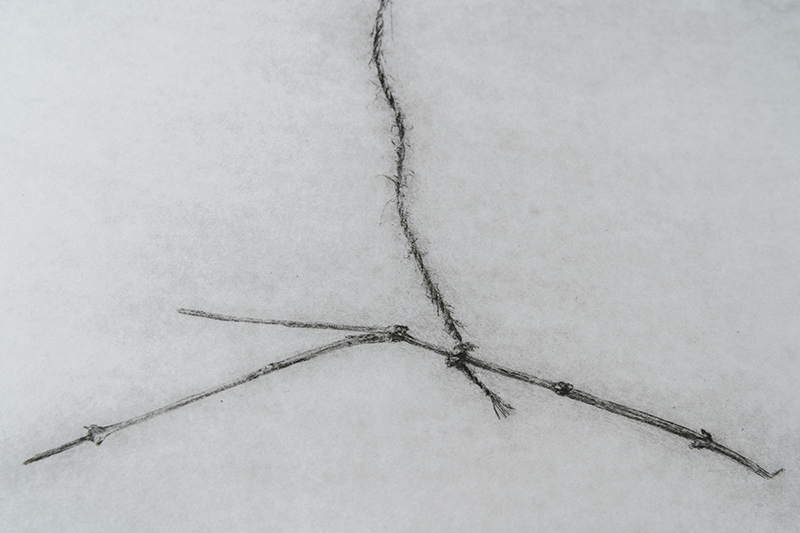 Every little notch of the twigs can be recognized; each individual, fine fiber of the rope can be seen. 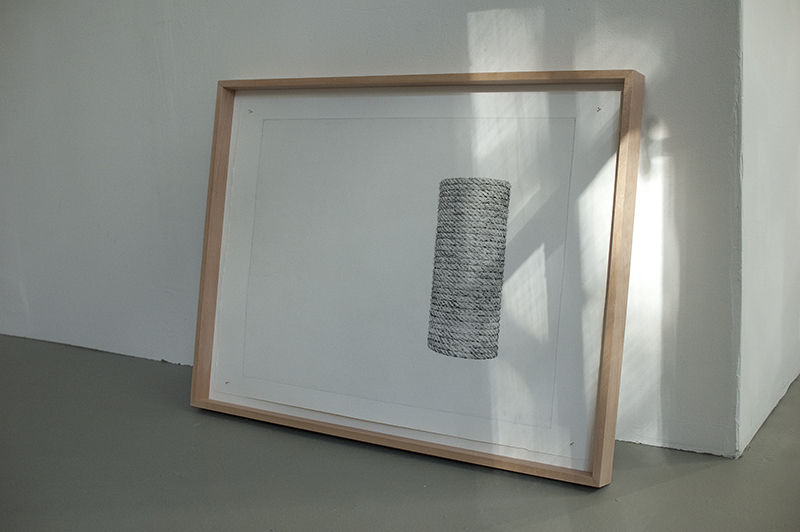 With scientific simplicity, Astrid Ehlers isolates the essential aspects and creates images that simultaneously embody complexity and sensuous beauty, thereby successfully translating the tradition of drypoint into the contemporary.